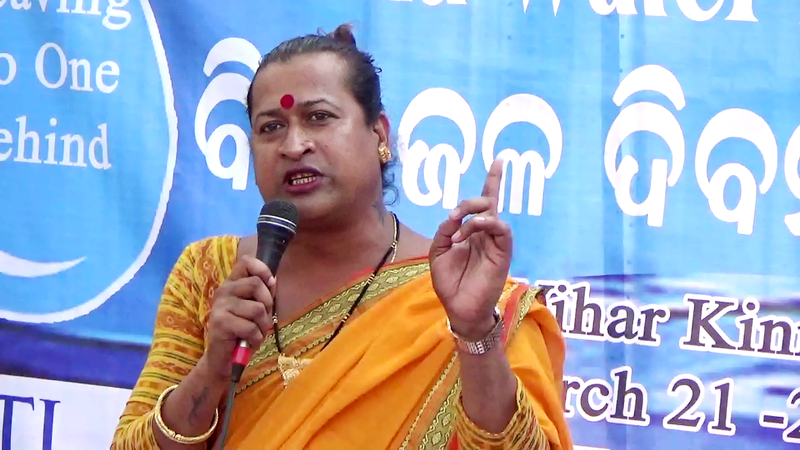 Men, women, transgender, single women, people with disabilities, adolescent girls and the elderly gathered in large numbers at the Vani Vihar Kinner (transgender) Basti to observe World Water Day 2019. Based on this year’s theme “Leaving No One Behind”, they discussed and deliberated on measures to be taken to tackle water crisis faced by the urban poor and create awareness about water conservation. Lopamudra Panda, WaSH Expert, PR Department? said “Everyone has to use water judiciously so that we can save water for our future.” Lalit Badhai, Project Manager, Piramal Sarvajal announced: “Piramal is soon going to install water ATMs in 10 slums. We will try to include the settlements having severe drinking water stress,” he said. “We had to carry water in trolley from nearby settlements for drinking purpose. Thanks to Piramal and the Single Window facilitated by CFAR for installing water ATM near our basti, now we are getting pure water for drinking,” said transgender leader Madhuri Maa. She appealed Piramal to increase the quantity of water to 20 litres per card from 10 litres. The meet ended with all participants taking an oath to save water and mobilise at least five people for the same.